Watch this space for more projects to be added soon! 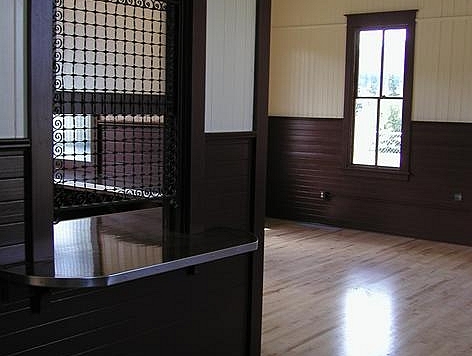 Cle Elum, WA The South Cle Elum train Depot historically rehabilitated to it\'s original use as a Beanery by Washington State Parks and Recreation in cooperation with the Cascade Rail Foundation and Friends of the South Cle Elum Depot. 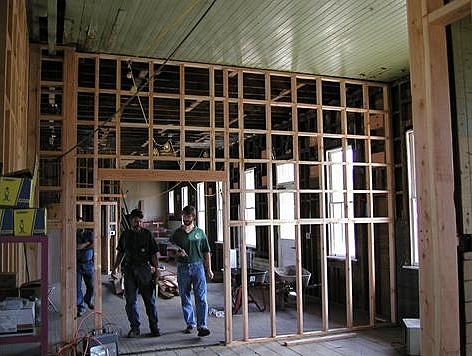 Before the project began, a lot of vision was required. 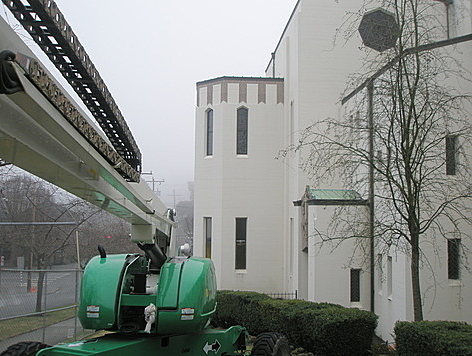 First the building was saved and the exterior restored. 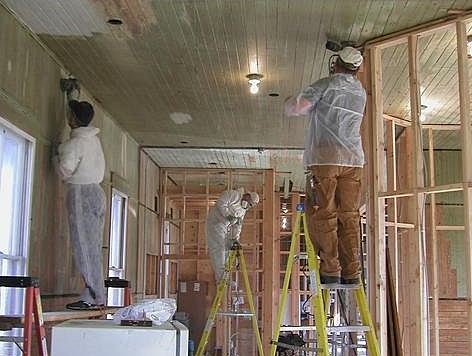 Next came the rehabilitation of the entire interior. The existing tounge and groove had decades of alligatored and deteriorated paint. We prepared the historic and installed new to match everywhere else. It just doesn\'t get any better than this! 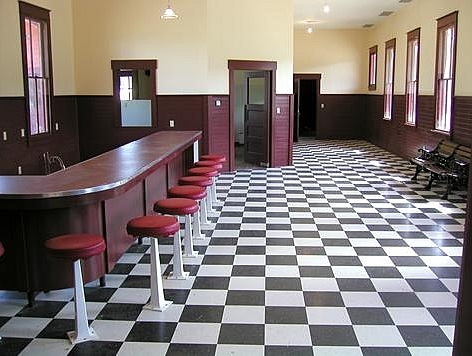 A restored and ticket counter and a museum area for Railway artifacts. The floor is bird\'s eye maple and matches the original. The ticket counter was recreated with the use of photos and a fabricated steel screen. 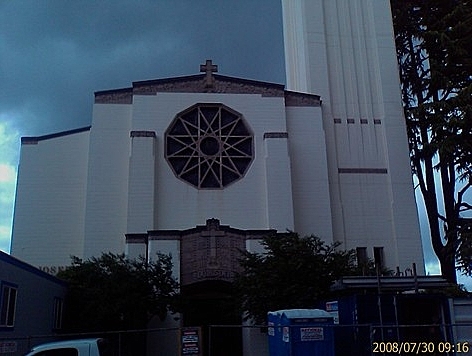 Seattle, WA This historic church on Capital Hill in Seattle had failing steel windows that needed conversion to a more modern method of glazing. New commercial grade aluminum windows matched to the steel window sitelines were installed with protective glazing on the exterior so the restored leaded/art panels could be set to the interior. 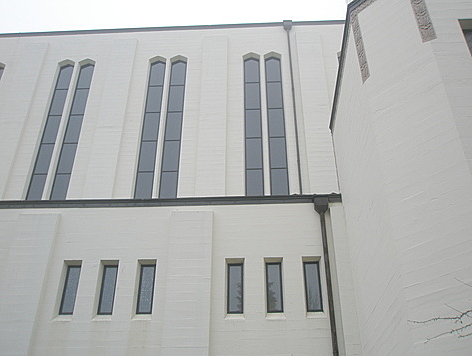 The windows were difficult to reach from both the interior and exterior. The bulk were sixteen feet tall and fourteen feet from the ground to the bottoms. 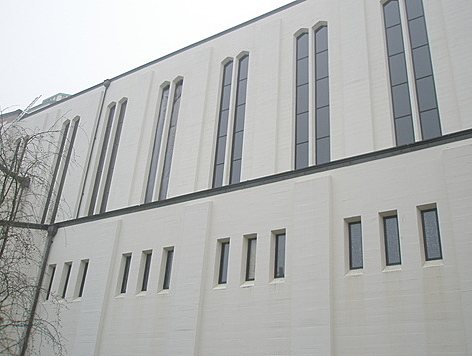 In all, sixty historic leaded/art glass panels were saved and protected while improving the energy efficiency of the units.